“Now that Kancherapalam is here, we are definitely going to see more of such films that will change the face of Tollywood among the global audience,” Maha tells TNM. Venkatesh Maha’s association with films goes way back to the time when he was in Class VI, and would look dreamily at the huge cut-outs of actors outside theatres in his town. “My mother, whenever she wanted some time off, would give me some money and ask me to watch a movie. She knew nothing else could keep me away for long,” Maha says. To be in an industry without any godfathers, Maha spent over seven years, from working as a spot boy to playing small character roles and then venturing into short films. “Until 2009, I worked in an MNC in Vizag and then quit my job and started looking for an opportunity in films. I was happy with whatever I did as long as it was connected to movies. I wanted to be an actor and made a couple of short films, too. All hats I donned came useful to me on the sets of Kancherapalam,” Maha says. In 2016, wanting to take a break from work, Maha visited his friend who lived in Kancherapalam in Vizag. “I could say that Kancherapalam was a movie born out of frustration. I had been to Kancherapalam earlier too, but this time I told my friend that I wanted to do a movie. He took me out and made me meet all the film enthusiasts in the village. I slowly realised how every person at Kancherapalam had a story within themselves, realistic enough to make a movie. I only had to explore their characters and pen them down for the film,” Maha recalls. 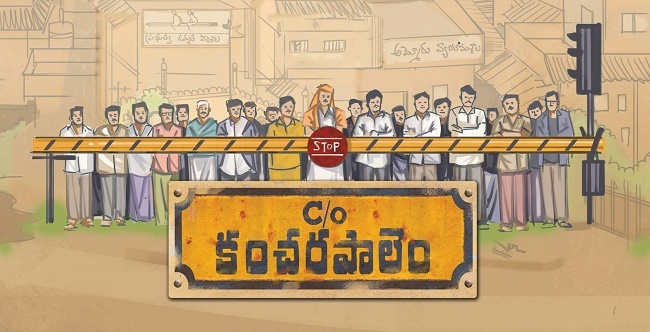 Kancherapalam has managed to hit the mark, casting over 80 fresh faces on screen, and each character convincing the audience of the role portrayed. “The actors were people from regular walks of life, who had a daily job and led a very ordinary life. Initially, I chalked up plans to adjust to each person’s schedule but within no time the actors themselves made to the sets on time, after completing their 9-7 work shifts,” Maha says. He further says that Raam Reddy’s award-winning Kannada film, Thithi, was a push to make Kancherapalam without any popular face. “I was inspired by the lives of Kancharapalem to make the film, so I felt they all should be a part of the film,” Maha says. Talking about his association with Praveena Paruchuri, the producer of the film, Maha says that it was director Aparna Malladi who first introduced him to this young cardiologist from the US. “Praveena was a film enthusiast who wanted to be an actor but eventually went on to become a cardiologist. After ten years of working and saving enough money in the US, she came to India, wanting to produce movies,” Maha says.